Your beach experience: The Seychelles, to the discerning luxury traveler, is synonymous with the world’s most beautiful islands and beaches. As nature intended – it’s one of the world’s best-kept secrets and ranks amongst the purest destinations anywhere. 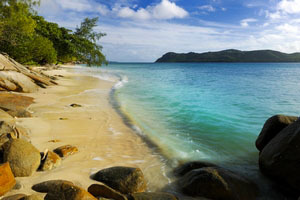 So pure indeed, that the second largest island, Praslin, was once thought to be the Garden of Eden. Now, surrounded by the world’s most pristine beaches, framed by primeval forests and brilliantly clear ocean waters, it is home to the legendary Raffles. 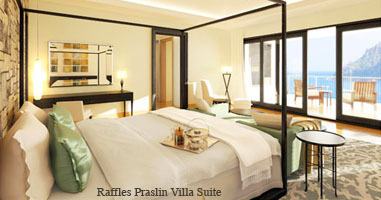 An extraordinary setting for 23 exceptional villas with superlative views of the Indian Ocean - Raffles Estates. Truly, paradise reborn. In keeping with the Raffles brand promise to bring residents endlessly enchanting experiences, Raffles has created a new suite of premium branded hospitality services to complement the legendary Raffles brand of hotels and resorts. Each is designed to enrich lifestyles by bringing the essence of Raffles beyond the doors of the hotels and into the home. 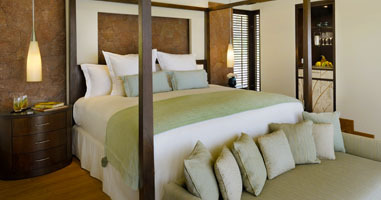 On arrival in Seychelles, experience personalized welcome and VIP assistance by the Guided Safaris & Raffles hotel team. On course for an exciting opening in February 2011, The Raffles Praslin Seychelles will be offering an array of relaxing and exhillirating pursuits, from water sports to island-hopping and golfing representing the very best of the Raffles resort and the lovely island of Praslin - home to some of the world's most extraordinary beaches. 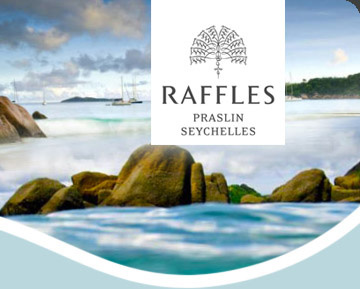 The 30-hectare Raffles Praslin is situated on the excluisve North-Eastern tip of Praslin Island. The Raffles Praslin resort enjoys a generous 500-meter stretch of pure-white sand beach with crystalline clear, jacuzzi-warm waters ideal for a swim and a variety of water sports such as snorkelling, scuba diving, canoeing and kayaking, sailing and more. Flanked by the nearby Curieuse island, the shoreline of Raffles Praslin's Anse Takamaka stretches out to the Curieuse Marine National Park where lively marine species thrive in abundance. Golf enthusiasts will be thrilled with a game of golf at the only 18-hole championship golf course on the island, known for its challenging par-70 course surrounded by remarkable topography and flora and fauna. To capture the full beauty of Praslin from the aerial view, embark on a chartered helicopter for an exhilarating journey high above. The legendary Vallée de Mai, namely one of the two UNESCO World Heritage Sites in Seychelles, is an attraction not to be missed. Found no where else in the world except in Praslin are the magnificent Coco de Mer palms, growing wild in glorious abundance, bearing fruit to the world’s largest seeds in the world. Other endemic plants and animal species such as the rare Seychelles Black Parrot can also be seen at Vallée de Mai - once believed to be the original site of Eden. On Praslin, the Raffles team is on hand to assist with the planning of the most unforgettable private dining experiences at any imaginable locations on the island or in the privacy of the resort. Savour a gastronomic meal atop the granite boulders or a family picnic on the pristine beaches, the varied landscape of the island offers countless outdoor dining venues with excellent tropical ambiance and romance. 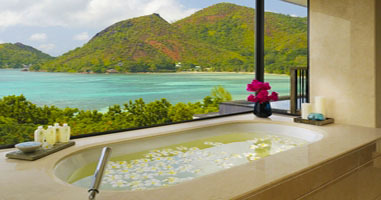 Immerse in the tranquil oasis at Raffles Praslin delighting in a complete spa indulgence at the Raffles Spa. Nestled amidst lush greenery and luxuriant grounds, the spa offers a myriad of spa treatments and services, ranging from rejuvenating body massages and deep cleansing facials to uplifting hair and beauty services. The stunning vistas from every window within the 13 intricately-designed treatment pavilions grant an added dimension to the enlightening spa journey for one to embark on. The Spa Pavilion provides the perfect enclave for the meditative discipline of yoga with a private instructor or at your leisure. 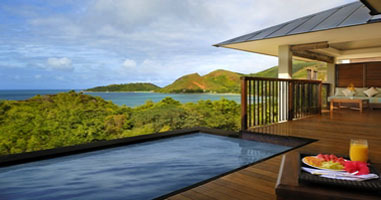 The 5-Star Raffles Praslin resort features 86 villas designed as contemporary residences, each styled with a private plunge pool and an expansive private outdoor pavilion with seaviews. 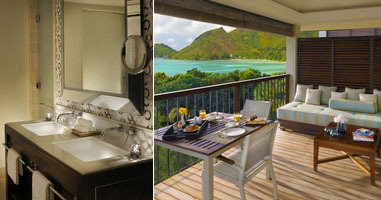 The upgraded one-bedroom and two-bedroom Villa Suites are equipped with a private barbecue grill in the outdoor pavilion to have the gourmet chefs indulge you with private in-suite dining. The ugraded Villas are among some of the most spacious in the Seychelles with an expansive 125 square meters of private space built along gentle slopes overlooking the beautiful ocean. Raffles’ relentless pursuit of service excellence has earned its hotels and resorts a legion of international accolades, including Condé Nast World’s Best Places to Stay and Travel & Leisure World’s Best Awards. 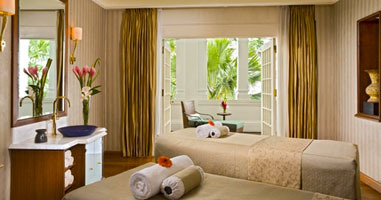 Its flagship Raffles Hotel Singapore was voted Best Hotel in Asia for four consecutive years by readers of Ultratravel magazine by The Daily Telegraph while Raffles Beijing Hotel was named Best Luxury Hotel by Travel Weekly China in 2009. In addition, Raffles Hotels & Resorts is consistently ranked among the world’s top 10 hotel brands in the annual Condé Nast Traveler Business Travel Awards. 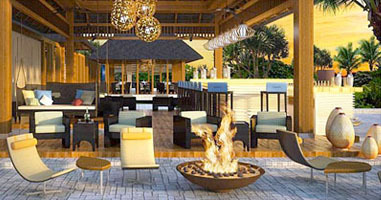 In celebration of the grand opening, IntoSeychelles.com offers guests a range of complimentary amenities in an introductory special for Raffles Praslin. 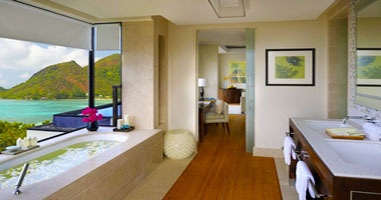 Until 30th April 2011, guests will enjoy round-trip airport transfers, buffet breakfast for two, 60-minute Raffles Spa treatment for two and a complimentary visit to a local attraction. A minimum stay of 4 nights required. *Sorry, no Travel Agents or Third-party requests please - opening promotions applicable to direct guest bookings only for a limited-time. Need to cut out a night - or change a resort? 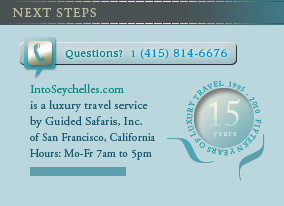 Into Seychelles does not operate groups of ANY size; All trips are fully customizable and perfected to your needs. Note: All pricing based on current exchange rates and subject to change without notice. 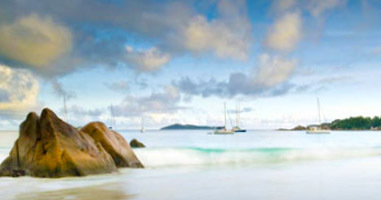 Why book with Into Seychelles? 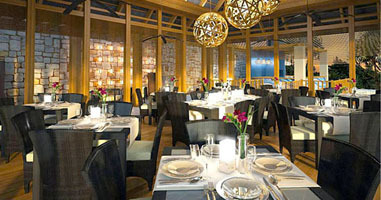 Planning your special vacation with Into Seychelles is a highly-personalized experience for the independent traveler. With 15-years in custom-tailoring travel to the Seychelles, Into Seychelles sets the highest standards of service; an experience you will witness for yourself. and return day in the calender below. Registered Seller of Travel in the State of California.